Does your bike need service? Now’s the time! Did you know that shift cables can break after a year or so of riding depending on mileage and the amount shifts? 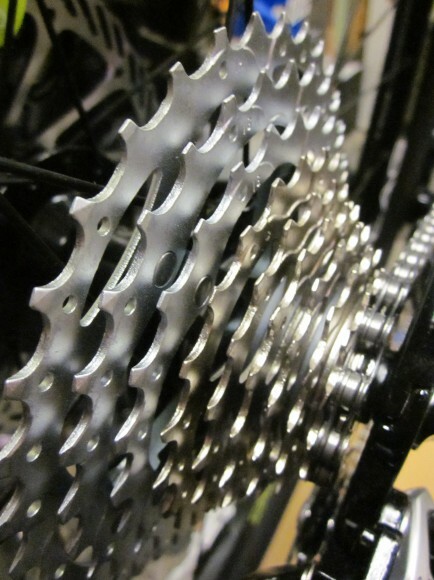 Did you know that your chain needs to be replaced before it starts slipping or breaks? Did you know that disk brake pads can wear out in just a few wet gritty rides and can damage your rotors(avoid wet/muddy trails to prevent erosion)? Did you know that not cleaning your rim brake surface often will cause the rim and brake pads to wear faster than intended? Did you know that pressure washing/hosing your bike can cause creaking noises and potential water inside the frame and components affecting bearing life? Did you know that a new bike will need a full tune up in the first month or two of use due to cable stretch and wheel stressing? These are just a few of the things we can inspect, service, and educate you on while servicing your bike or bikes….N+1. We also take trade in bikes towards new bikes and we do consignment sales on used bikes. This is also a great way to get your child on a new bike to replace the one they’ve outgrown. It’s also a great way to get an upgrade for yourself or significant other. If you have a bike that needs more service than it’s worth we can give you some credit for it towards a new bike. We are not above helping you save money in many ways so just ask. This entry was posted on Tuesday, March 3rd, 2015 at 2:59 pm	and is filed under Uncategorized. You can follow any responses to this entry through the RSS 2.0 feed. Both comments and pings are currently closed. « Stocking Stuffers and more!